Emergency Alert Systems: The Emergency Alert System (EAS) and All-Hazard Warnings - Emergency Alert and Notification for Emergency Alerts and Community Warnings. The Emergency Alert System (EAS) is one of several federally managed warning systems. The Federal Emergency Management Agency (FEMA) jointly administers EAS with the Federal Communications Commission (FCC), in cooperation with the National Weather Service (NWS), an organization within the National Oceanic and Atmospheric Administration (NOAA). The NOAA/NWS weather radio system has been upgraded to an all-hazard warning capability. Ways to improve the NOAA network and the broader-based EAS are under discussion but at present the system is inadequate for fully alerting the public about terrorist attacks or providing information on how to respond. EAS is built on a structure conceived in the 1950�s when over-the-air broadcasting was the bestavailable technology for widely disseminating emergency alerts. Among the weaknesses noted in the current systems are: insufficient coordination, dependence on a limited set of technologies, and diffused administration. Mandatory broadcasts are triggered only by a national alert, issued through the Office of the President; EAS has never been used for this purpose. Local and regional announcements regarding emergencies, natural or manmade, are broadcast voluntarily. The 9/11 Commission Report discusses the effectiveness of emergency alerts at the World Trade Center on September 11, 2001, but focuses its analysis on communications systems, not EAS. Other, recent, major studies of warning systems have concluded that the United States needs a more robust emergency alert system. Recommendations for improvement include using all available means of communication, providing a standardized alert protocol and developing infrastructure for notification to virtual communities. A virtual community in the context of emergency communications refers to the technical ability to give immediate, simultaneous alerts to the appropriate community of responders and affected residents. Before its towers collapsed, the World Trade Center might have benefitted if virtual community alert technology had been in place and activated. H.R. 10 (Representative Hastert), a bill that would implement many of the recommendations from the 9/11 Commission, includes a section that would require a study of the feasibility of implementing an �emergency telephonic alert notifications system.� The bill also includes an amendment, utilizing language from H.R. 5238 (Representative Shadegg), that would require a pilot study using network technology now being used for Amber Alerts to improve public warning systems. Several bills were introduced in 2003 relating to emergency warnings, including The Emergency Warning Act of 2003 (S. 118, Senator Edwards, and its companion bill, H.R. 2537, Representative Maloney and a bill introduced by Representative Meek of Florida (H.R. 2250) to create a �READICALL� emergency alert system. This report summarizes the technology and administration of EAS and the NOAA/NWS all-hazard network, and some of the key proposals for change. It will be updated. The Emergency Alert System (EAS) � perhaps the most visible of America�s warning systems � was not used for emergency communications after the terrorist attacks of September 11, 2001. There is interest, but limited action to-date, within the federal government to develop a single, all-hazard warning system that would be both broader in reach and scope and more flexible in uses of available technology than EAS. Recently, EAS technology has been put to use for Amber Alert1 programs administered in some states and communities to aid primarily in the recovery of abducted children.2 Amber Alert can be a targeted alert and provides an example of how technology can be used to reach a virtual community within a short time. EAS currently sends emergency messages with the cooperation of broadcast radio and television and most cable television stations. It was created as CONELRAD (Control of Electromagnetic Radiation) in 1951, as part of America�s response to the threat of nuclear attack. In 1963, the system was opened to state and local participation. Through most of its existence, the alert system was known as the Emergency Broadcast System. The name was changed in the 1990�s when the technology was upgraded and automated. Congress has placed responsibility for civil defense measures that include the present-day EAS with the Director of the Federal Emergency Management Agency (FEMA)3 now part of the Department of Homeland Security (DHS). The Federal Communications Commission (FCC) has been designated by FEMA to manage broadcaster involvement in EAS. The FCC currently provides technical standards and support for EAS, rules for its operation, and enforcement within the broadcasting and cable industries. FEMA works with the emergency response officials who, typically, initiate an EAS message for a state or local emergency. Non-federal EAS operational plans are developed primarily at the state and local level, often with the participation of FEMA and other federal agencies. The FCC provides rules and guidelines for state EAS plans and many, but not all, states have filed FCC-compliant EAS plans. FEMA advisors often help to integrate EAS usage into emergency alert plans. The decentralized process contributes to uneven planning; for example, procedures for initiating a message and activating EAS differ from state to state. Umbrella organizations that participate in EAS planning and administration include the Media Security and Reliability Council (an FCC Advisory Committee), the Primary Entry Point4 Advisory Committee, and associations such as the National Association of Broadcasters and state broadcasting associations. States and localities organize Emergency Communications Committees whose members often include representatives from broadcasting companies or local TV and radio stations. These committees agree on the chain-of-command and other procedures for activating an emergency message through radio and television. The constraints of the EAS technology, as specified by the FCC, limit an EAS message to no more than two minutes. Emergency alert agreements with broadcasters, therefore, usually provide for both EAS warning messages and follow-up broadcast programming. Broadcaster Participation. The participation of broadcast and cable stations in state and local emergency announcements is voluntary. The FCC has designated over 30 radio stations as National Primary Stations that are required to transmit Presidentially-initiated alerts and messages. Their broadcasts are relayed by Primary Entry Point stations to radio and television stations that rebroadcast the message to other broadcast and cable stations until all stations have been alerted. The FCC requires broadcast and cable stations to install FCC-certified EAS equipment as a condition of licensing. Radio and television broadcast stations, cable companies and wireless cable companies must participate. Cable companies serving communities of less than 5,000 may be partially exempted from EAS requirements. Direct broadcast satellite companies are among those communications services not required to participate. For the broadcast of non-federal emergency messages, the FCC has ruled that the broadcasters, not a state or local authority, have the final authority to transmit a message.5 Historically, the level of cooperation from the broadcasting industry has been high. For example, because state and local governments are not required to upgrade to EAS-compatible equipment � and therefore may lack direct access to the technology � broadcasters often volunteer to manage the task of EAS message initiation. EAS technology uses coders and decoders to send data signals recognized as emergency messages. Almost any communications device can be programmed to receive and decode an EAS messages. In manual mode, an EAS alert is sent to a broadcaster, either over an EAS encoder-decoder or by other means, such as a telephone call. Where agreements have been put in place with broadcasters, EAS messages can be created and activated by state or local officials and transmitted automatically to the public without the intervention of broadcasting staff. These messages use computer-generated voices. All EAS messages carry a unique code which can be matched to codes embedded in transmitting equipment; this authenticates the sender of the EAS message. To facilitate the transmittal of emergency messages, messages are classified by types of events, which also are coded. These event codes speed the recognition and re-transmittal process at broadcast stations. For example, a tornado warning is TOR, evacuation immediate is EVI, a civil emergency message is CEM. When a message is received at the broadcast station, it can be relayed to the public either as a program interruption or, for television, as a �crawl� at the bottom of the TV screen. The installed technology limits messages to two minutes; emergency managers and station operators have prescripted message templates that have been timed to fit this constraint; specific information is added to the text at the time of the emergency. When new event codes are added, broadcasters must upgrade their equipment to recognize the codes. To use EAS in a more flexible manner, with messages longer than two minutes, for example, also would require broadcasters to upgrade existing equipment. NOAA Weather Radio. Digitized signal technology for EAS is the same as that used for the NOAA Weather Radio (NWR), now incorporated into the NOAA Weather Radio All-Hazards Network. 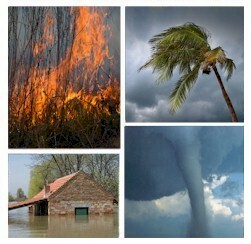 Widely recognized as the most utilized of public warning systems, NWR broadcasts National Weather Service forecasts and all-hazard warnings for natural and man-made events.6 The compatibility of the signals makes it possible for EAS equipment used by the media to receive and decode NWR messages automatically. Special weather radios are tuned directly to NWR channels. Many can be programmed to receive only specific types of messages � for example, civil emergency � and for specific locations, using Special Area Message Encoding (SAME). Weather radios can sound an alarm or set off a flashing light. 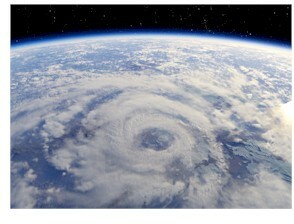 Similar technology is available to provide NWR messages by satellite TV and over the Internet as messages or as e-mail. Technically, the special weather radios available to the public to receive NWR alerts can also receive any EAS message. In reality, broadcast and cable stations rarely program their EAS technology to transmit voluntary state or local messages over the NWR channels. NOAA has improved, and continues to upgrade, its technology to support an all-hazard warning system. It is encouraging public safety officials to notify them as well as their EAS broadcast contacts regarding non-weather-related emergencies so that they may be rebroadcast on NWR. The eventual inclusion of warnings and alerts from the Department of Homeland Security will bolster these efforts. 9/11 Commission Analysis. The 9/11 Commission Report10 describes the often inadequate response of 911 call centers serving New York City.11 The analysis of the 911 response recommends: �In planning for future disasters, it is important to integrate those taking 911 calls into the emergency response team and to involve them in providing up-to-date information and assistance to the public.�12 that would support a number of communications and warning needs. The 9/11 Commission would appear also to embrace this view in its recommendation for creating and funding signal corps in major cities.13 The goal of a signal corps could be defined as providing information systems and networks for real-time communications, locally and over wide areas. Support of communications inter-connectivity could be established through a signal corps type solution. Advocates of all-hazard warning systems are seeking interoperability among warning systems, standardized terminology, and operating procedures in order to provide emergency alerts that reach the right people, in a timely manner, in a way that is meaningful and understood by all. According to testimony15 and news reports,16 DHS is in the process of exploring ways to use mobile devices for virtual community alerts. Reportedly, four major wireless carriers have been invited to join a pilot program in Washington, D.C. that would carry all-hazards warnings to cellphone users. Proposals and Progress. In 1999, FEMA and the Departments of Commerce and Agriculture took the lead in a multi-agency working group to explore ways to create an all-hazard warning network.17 Their recommendations included using NWR as the backbone for a national all-hazard warning system and the establishment of a permanent group to promote improvements in warning systems. The following year, the National Science and Technology Council at the White House sponsored a report that explored the types of technologies and systems that are used or could be used for emergency alerts.18 Among its recommendations were: the creation of a public-private partnership that would bring all stakeholders together; one or more working groups to address issues such as terminology, technology, location-specific identifiers and cost-effective warning systems; system standardization; and increasing the number of communications channels for warnings. The report concluded that substantial improvements in early warning systems could be achieved through coordination and better use of existing technologies. Requirements for a study about the use of telecommunications networks as part of an all-hazards warning system are included in H.R. 10 (Representative Hastert), a bill that would implement many of the recommendations from the 9/11 Commission. The study would be led by the Secretary of Homeland Security, in consultation with other Federal agencies, as appropriate, and participants in the telecommunications industry. Its goals would be to consider the practicality of establishing a telecommunications-based warning system that would also provide information on safety measures that might be taken in response to the warning.24 The legislative proposal specifies that technologies to consider would be �telephone, wireless communications, and other existing communications networks . . .�.25 An amendment to H.R. 10 carries the language of H.R. 5238 (Representative Shadegg), a bill that would require a pilot study using technology now being used for an Amber Alert network, to improve public warning systems regarding threats to homeland security. Limited distribution channels (e.g., EAS uses broadcast and cable, NWR is closely linked to radio). Insufficient clarity regarding the responsibility for transmitting alerts. Limited flexibility in responding to new types of emergencies. Limited ability to identify levels of danger and provide direction for actions to be taken by the general public; there are shortcomings both in the capacity of technology to relay detailed messages and in planning for consistency and coherence. Limited reach in distance, in time, and in culturally-aware communications. Insufficient solutions to reach the handicapped or impaired. Insufficient ability to define, recognize and contact virtual communities. Insufficient attention to the deployment of new technologies and the encouragement of public-private partnerships. Reports, such as those cited above, and other commentaries, such as press releases from the Department of Homeland Security and findings in legislation regarding emergency alerts, have emphasized the need for better oversight and planning for an all-hazard warning system. Many experts in public safety and communications have observed that it is both possible and desirable to coordinate the development of information networking technology for various types of emergency responses, maximizing the reach of any warning or alert. Such coordination would eliminate costly duplication by identifying network resources and technologies available for shared deployment. This would lead to a level of standardization and interoperability that � it is widely believed � would benefit research and development. 2 See CRS Report RS21453, Amber Alert Program Technology, by Linda K. Moore. The program and policy issues are discussed in CRS Report RL31655, Missing and Exploited Children: Overview and Policy Concerns, by Edith Cooper. 3 P.L. 103-337, National Defense Authorization Act for Fiscal Year 1995, Title XXXIV - Civil Defense, Sec. 603 (42 U.S.C. � 5196), amending the Federal Civil Defense Act of 1950 (64 Stat 1245). 4 The Primary Entry Point (PEP) system consists of a nationwide network of broadcast stations connected with government activation points through designated National Primary Stations. 5 FCC, Report and Order and Further Notice of Proposed Rule Making, Released December 9, 1994, FO Docket Nos. 91-301 and 91-171, 10 FCC Record 1786. 6 The National Oceanic and Atmospheric Administration (NOAA) is an agency of the Department of Commerce; the National Weather Service is a NOAA organization. 7 Compiled from press reports: �Amber Alert Links up to Web Today,� by Richard Willing, USA Today, July 19, 2004, pg 1A; and �Amber Alerts to Extend to E-Mail, Cell Phones and Handhelds,� by Ellen Simon, Associated Press, July 20, 2004. 8 Some of these activities are discussed in CRS Report RL32126, 911 Call Center Legislation: S. 1250 and H.R. 2898, by Linda K. Moore. 9 For a discussion of federal standards, see CRS Report RL32520, Emergency Management Preparedness Standards: Overview and Options for Congress, by Keith Bea. 10 Final Report of the National Commission on Terrorist Attacks Upon the United States, Official Government Edition, 2004 (hereafter cited as 9/11 Commission Report). 11 9/11 Commission Report pp. 286-287, 295, and 306. 15 House of Representatives, Select Committee on Homeland Security, Subcommittee on Emergency Preparedness and Response, Emergency Warning Systems: Ways to Notify the Public in the New Era of Homeland Security, September 22, 2004. 16 �Effort to Broadcast Alerts to Cellphones Gains Steam,� by Carl Bialik, Wall Street Journal Online, September 28, 2004. 18 National Science and Technology Council, Working Group on Natural Disaster Information Systems, Subcommittee on Natural Disaster Reduction, �Effective Disaster Warnings,� November 2000. 23 FCC, News, August 4, 2004, �Commission Seeks Comment on Rule Changes for the Emergency Alert System,� Headlines at [http://www.fcc.gov]. Notice of Proposed Rulemaking, EB Docket No. 04-296, available at the FCC website E-Filing/EDOCS link. Comments can be found by going to the E-Filing/ECFS. In ECFS, click �Search for Filed Comments,� insert �04-296� in the box marked �Proceeding,� and then search the file. 24 H.R. 10, Sec. 5009 (a). 25 H.R. 10, Sec. 5009 (b).